For a long time, the Construction industry has been misunderstood. The industry has endured a poor image and a lack of awareness amongst career influencers to young people. These are some of the issues that have affected the volume of new entrants to the industy and contribute to the skill shortage problem experienced in the industry today. That said, work has started to improve the appeal of working in the Construction industry, with recognised bodies and employers promoting the benefits of choosing Construction as a career and improving awareness amongst those who influence young people regarding their careers. The Construction industry remains one of the largest industries in the UK economy and there are commitments both locally, around Lancashire and the North West, and nationally, at Government level, to build new homes for the foreseeable future. Skilled workers are needed at all levels to deliver these projects. There are many different job roles in Construction that offer young people the opportunity to start a successful career and progress. The Construction industry is interesting and job roles are available that suit people with varying skills, abilities and career objectives. Construction Operatives to build foundations for houses, install drainage and roads and sewers, technical roles such as Quantity Surveyors and support staff such as Plant Fitters are examples of the skills shortages experienced by a local company, Matthews and Leigh Civil Engineering Ltd, and the opportunities they have offered to young people during the past 2 years to address these issues. The company provides an excellent example of how new entrants have been attracted to the industry, become qualified and continued to learn new skills and progress with their careers. In partnership with Preston College, Matthews and Leigh has a very successful recruitment process and Apprenticeship programme. Since 2016, the company has supported 19 Apprentices to start their careers in the Construction industry as Groundworkers, Plant Fitters, Quantity Surveyors and Administration support. 11 Apprentices are currently part way through their programme and 8 successfully completed their Apprenticeships during summer 2017. Further training and support has been provided to those who completed their programmes, offering career progression opportunities to operate Plant such as Forward Tipping Dumpers and Ride on Rollers. These workers now hold valid CPCS cards for one or more types of plant and have become important members of Construction the teams on site. 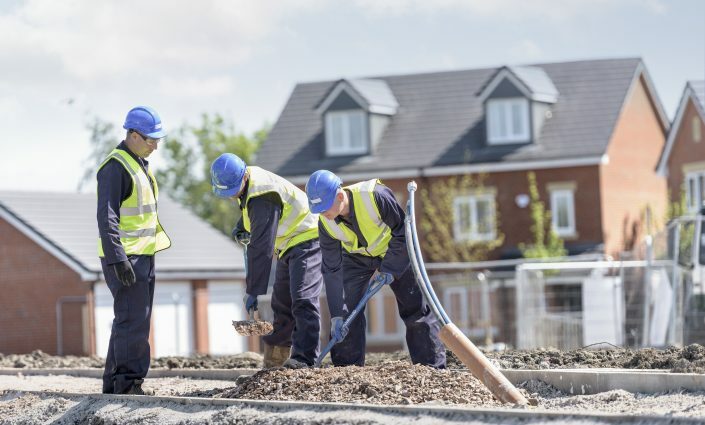 Matthews and Leigh are currently recruiting for 10 new Apprentices in Groundwork to learn how to construct foundations and floor slabs for houses, install new drainage and flagging to footpaths, build new roads and sewers, including installation of kerbs and channels on sites throughout the North West area. The company are looking to attract applicants from Chorley and the surrounding areas. Own transport is not required. Details of the job are available on the company website (www.matthewsandleigh.co.uk) or by contacting 01257 792268.